I LOVE this column – so thoughtful and full of love. Thank you and bless you. Well, I appreciate a positive comment, Maureen. I am a little nervous about this one. Thank you thank you, for using your position to discuss this touchy subject. We ARE parents of small children and DO have to make these decisions. Our plea has been, “Won’t anyone help us calmly and logically discuss this topic without going over the deep end on either side?” So far, we have found very very few. Sigh. As you said, debate as it was once known, is hard to find! I see some of my children struggling with this issue, Stephanie. That is why it is so much on my radar screen. I really am troubled by the hatred I am seeing beaming out on this issue, Steven. As well as what seems, in my mind, a disproportionate reaction compared to other health issues. I get the sense that the hatred directed at those opposed to vaccination is a way to deflect from a related issue, and that is one of immigration. The influx of immigrants from third-world countries has brought with it a re-emergence of illnesses such as polio and tuberculosis, as well as the more benign viruses such as mumps and measles. What is more disturbing is that many of the carriers bring with them so-called “super bugs” that are antibiotic resistant. This is because they may have been treated after they caught the disease, but chose not to complete the course of medication, saving leftover pills instead for a rainy day or giving them to another family member. Legal immigrants are still required to obtain a clean bill of health in order to get a visa and enter the country. Refugees can obtain health requirement waivers. Illegals just slip through. And lest I be accused of “racism” or “xenophobia” I have to relate that a major fast food restaurant near me (and on an exit just off a well trafficked interstate) was closed down for sanitation by the board of health because one of its employees – an undocumented person from Mexico – tested positive for TB. At any rate, it’s much easier to blame the anti-vax people for “allowing” their kids to get measles, mumps, chicken pox, etc. than it is to acknowledge that untrammeled immigration brings with it a lot of unintended results. Jean, I do think the illegal immigration ‘crisis’ has allowed children and adults into the United States with diseases that would keep legal immigrants out. However, worldwide travel does that as well with people visiting and on business trips. The level of interaction with the rest of the world is a relatively new phenomenon that we aren’t necessarily equipped to deal with. Thank you for giving a good look at both sides. Neither side is ‘stupid’ neither side is ‘uniformed’. Both have taken a look at the science, both are trying to do what is best for their health and the health of their children. I agree, TJ. I know that when I start seeing the heavy hand of power come down, my suspicions are raised. Joanne, this is really an issue that I feel that most lay people should be able to discuss since the ultimate goal is a shared one. Wonderful commentary. Thank you for getting the conversation rolling with sound thoughts and questions. Meg, I do think we need (on this and many other topics) to move beyond everyone only talking to those who agree with them and defaming those who don’t. I find it interesting that you would broach a subject AND be nervous about it, yet at the same time request that no one leave comments one way or the other concerning vaccines given to children. That said, this does not relate to vaccines given to children. It relates to vaccines given to adults like you, who received childhood vaccines for measles, mumps, pertussis, etc., and now need boosters plus vaccines for pneumonia and shingles. How would you feel if you were carrying the virus of any of these childhood diseases and passed them along to your grandchildren or other children who have not been vaccinated by the choice of their parents? If you suffer an attack of shingles, you will be ever grateful there is now a shingles vaccine that is made from a dead virus and 99% effective. If you have ever watched a loved on in a nursing home suffer from and die from pneumonia needlessly, you should be ever grateful that there are two different vaccines, now, for pneumonia. Julie, the reason I asked not to have comments advocating one side or the other is because I am not knowledgeable enough to respond to them, so this isn’t the forum for hosting the discussion. I’m not understanding your point about this not relating to children and neither am I saying that I have decided that no vaccines are helpful or life-saving. I was trying to move away from an emotional discussion to an open and honest one, something that I don’t see happening now. Julie, I’m not knowledgable enough to vet or respond to comments so this isn’t the forum for the honest and open discussion I would like to see take place. That’s why I asked for advocates of either side to not use this place to make their case. I’m sorry, but I don’t understand your comment about this not having to do with children. And I certainly did not say that I am opposed to vaccines or don’t think that any and all vaccines don’t have value. I was just asking for an unemotional discussion of this topic. Glad you brought this up. My husband stated he is very suspicious for the non-stop push for mandatory vaccinations. Once you open the door to forced medical procedures there is no turning back. We only have to look at history to know why this is a concern. Lynn, we have yet to figure out a system that successfully takes children away from truly abusive parents without taking children wrongly away from good parents. This seems a dangerous thing to put in the hands of the government. Thank you Susan. I’m still a fence sitter on vaccines. Here is why: I spent almost 35 years in the laboratory industry. I’m in the generation that got measles, mumps and rubella along with my husband, brother, sister-in-law. I could not get an answer to my question, does getting the diseases give a person better immunity then the vaccines. My mother lived to almost 95 and NEVER got a flu shot, same with my dad and he made it to 86. I admit I have never gotten a flu shot They stopped vaccinating for small pox a number of years ago. I have been vaccinated for shingles because my mother had it and she really never got better. Although I have heard that the shingles vaccine does not prevent you from getting shingles, just makes it less of a problem. Some jumbled thoughts. Use as you wish, you have my permission. Jumbled thoughts are what many of us have. The question you want answered about how strong the immunity is from a vaccine vs. the illness itself seems to me to be an important one. Wow. What an incredible piece of wisdom. I think you have explained this debate well, I fear those who blindly accept the list of shots we (our elected officials) demand kids receive will turn a blind eye to this muse. Mrs. Lapin I think you wrote a wonderful balanced article on this very touchy subject. I just placed and then received a negative comment from another Torah keeping group I belong to. A man in the group called me everything short of being an idiot. He might as well have called me bull headed (or worse) as he said no matter what he writes to me, I will not change my mind. All I said was that I’m tired of being treated rudely or as a criminal for my personal beliefs. Now I guess you know where I stand! I just want to live out the rest of my days without personally taking drugs, needing surgery or using extra human made devises if at all possible, as I have for more than 70 years now, for the short time I have left on this earth. (I don’t even have an opinion about children’s needs concerning this sensitive topic). As always you and your caring husband (Rabbi Lapin) gave me great hope for the possibility of us all at least having mature conversations about topics like this one as we should all realize we should be learning, growing and wishing to please our creator by doing what we can We need to take care of the body’s he gave us to use while we are here on this wonderful planet we call earth. I hope all comments to you are gentle and kind. 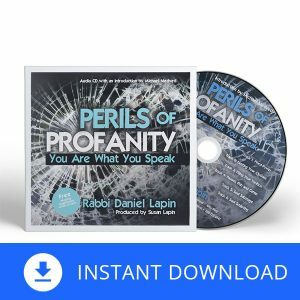 My husband and I just recently began following and listening to your and Rabbi Lapin’s teachings. Your teachings are incredible and inspiring. We don’t have kids but I appreciate the way you address topics such as these, as it allows for and promotes healthy debate for those who may be facing this and similar tough issues. Keep up he amazing and annointed work! We’re happy you’ve joined our community. Thank you for your encouraging words. And, you may not have biological kids but I’d guess that there are a few youngsters out there who have been inspired by you two; so in that sense, you do have kids! I was a young child in the 1950’s. I remember seeing photos of children my age in iron lungs. If I had children I would vaccinate them. The only question I would give my doctor would be about the timing of the injections. Parents have the right to vaccinate or not. The consequences, if any, rest on their shoulders. Carmine, I do know parents who set a different schedule for vaccinations and those who reject some while accepting others. If more information on managing vaccinations wisely was available, I think fewer parents would be so nervous. I genuinely lament the dullness of what passes for ‘discussion’ in our modern and allegedly enlightened age. Because the Game has become one of Power, rather than Ideas, it becomes harder and harder to just talk with people who do not agree with most, if not all, of one’s worldview. It’s so much easier to score the cheap or emotionally-driven ‘points’, to replace actual comedy with smugness, and to replace thoughtfulness with a checklist of Acceptable Thoughts. The internet and social media didn’t create the problem, but it certainly seems to have accelerated the problem. I just wish I could see a scale-able solution for the problem. Well, I don’t know the scale-able solution, but we can all try to be open to hearing uncomfortable thoughts. Susan I am glad you do not want comments about vaccinating or not vaccinating because I am ambivalent about that issue. However, I am not ambivalent about your suggestions in number 4 above. I have more definitive information. Unfortunately I can only speak about the State of Texas. In Texas only an MD can diagnose. For example, it is illegal for an optometrist to diagnose macular degeneration. I can verify that because my optometrist told me he could not diagnose. He could only tell me that there was something going on with my retina that was NOT there last year. So he referred me to an MD. Also, in the State of Texas, MDs must stick to standard of care options for therapy. They can lose their license if they prescribe non-standard of care therapy. Vaccinations are standard of care in the State of Texas. Therefore, Pediatricians must recommend them. As far as I know, parents do not have to follow the recommendations. I have an opthamologist treating me for macular degeneration and he has three licenses; a medical license (MD) from the State of Texas, a naturopathic license from the State of Arizona, and a license from the Pastoral Medical Association. That last license gives him the right, in the State of Texas, to “counsel” people who are facing medical challenges. When I see him we sometimes do standard of care under his MD license and sometimes non-standard of care under his Arizona license, and he uses his pastoral license to make sure I understand the different modalities and am comfortable with my decisions! I want to emphasize that this licensing issue is specific to each state and other states may have different laws than Texas. I want the freedom to choose for myself. I do not want a small committee of strangers limiting my options because they think they know better than I what is best for me. Homeschoolers in Texas have been fighting that fight as well. They want to decide what is best for their children and that might be something different for each child. Some children thrive in a traditional classroom and some do not. For me this is a freedom issue. This is one of many reasons I am active politically. If we turn our back on government for a nano-second monkey stuff starts to happen and the next thing I know I have lost another smidgeon of freedom. This post is too long, but it feels good to type it! Gerry, thanks for the info, at least in terms of Texas. I also think of this as a parental freedom issue in many ways. I wish science and medicine were able to sort this issue out once and for all, but wishing for that is like wishing for the climate change debate to be settled, or like wishing for those angels you mention miraculously coming down from upon high with next week’s winning lotto numbers. If I ever do have children, I will certainly be grappling over whether to give them the various vaccines, or not, and like a previous commenter notes, what about all those adult vaccines for flu, shingles etc? Life wasn’t meant to be easy, thank God and thank goodness we have people like Daniel and Susan to help us navigate the world with ancient Jewish wisdom. Alex, I think that there is a parallel to the climate change debate because of the censoring and ridiculing of one side. My natural reaction when that happens is to assume that something is being hidden. So who should take the lead in getting all of the facts and presenting them in a forum for discussion that is acceptable to both sides? We need the same thing for climate change, abortion, Israel and immigration reform. Sadly our country is divided and reason has been replaced by emotions as Rabbi Lapin has explained. Ah, if only I knew the answers to that, Luis. All I can do is encourage people (and myself) not to be afraid to stand by their views and be open to hearing rational opposing views. I hope it’s wisdom, Sharon :). What a pleasant surprise I got when I looked up Daniel Lapin and got the very talented writings of his wife Susan as a bonus. You have said better than I could have. It is quite suspicious to me the emotion and vitriol directed at people who only have questions. As you rightly noted, the authoritarian attitude makes it seem as if there is a weakness in that side of the argument. The Authorities have famously mismanaged our trust. That was courageous. I only want to see vaccines put under the scrutiny that seems due any other medical treatment. I really don’t understand the hate. Human nature is what it is. What is the rate of success of say the MMR or the Guardasil vaccines? What are the rates of side effects? We have a RIGHT to know that and I think we have a right to make an informed choice. Thanks for your kind words, WCS. Like you, when questions are dismissed rather than answered or at least acknowledged, it makes me uncomfortable. What an excellent commentary you have written on such a hot topic. You have raised some good questions. There is no doubt in my mind, Susan, that you and Rabbi Lapin are gifted teachers and communicators. You are certainly correct by observing the awareness of your speech and writings here touching many sensitive nerves by angering some and disappointing others. But I fear while we are seeking to reach an honest debate with a real sense of humility and honesty the government is attempting, and in many cases succeeding, in making chumps of the American citizens. For whatever sinister reasons it may have doing so it is obvious that big government is at work using it’s heavy hand of power to misinform and mislead the people. God speed you on your journey and mission in ministry. Michael, it is more than the government. We people, and I do include myself in this, tend to easily fall into groupthink. Now that so much of journalism has stopped actually investigating things and instead just promotes its own beliefs, it becomes harder and harder to actually see all sides of an issue. Thank you for your kind words. I have been reading your books and regular reader / listener to your podcasts and online website for quite some time. So thankful for the wisdom I have gleaned from both you and Rabbi Lapin. As a nurse for the past 22 years which also goes on yearly medical short term missions internationally—- the issue of vaccines has always been a subject where I also can see both sides of the debate. As a healthcare professional I know I am somewhat “expected” to go along with “science.” Yet I can’t help but think that this should be a personal choice issue and not a “requirement” that first world countries promote feverishly (no pun intended). I remember getting the yellow fever vaccine for the first time years ago and I suffered a moderate systemic reaction. Since then I have always been concerned that was the contributing factor which predisposed me to developing many autoimmune symptoms that I have to deal with to this day. I’m sure I am not the only medical professional who although I am passionate in promoting global health, I am not sure which side of the fence I fall on when it comes to vaccines. I think it should be an personal choice and not mandatory requirement. Thanks again for sharing your thoughts Mrs. Susan. Blessings to both you and Rabbi Lapin. Thank you for weighing in, Wendy. (Though I detect a Southern touch, but I don’t know if it should be Miss Wendy or Mrs. Wendy.) I have spoken to more than one nurse who is uncomfortable with the idea of mandatory vaccines and it would be good to feel that an honest analysis of side effects was being conducted. Like you, I am not sure which side of the fence I fall on. How did you guess? 🙂 it’s Mrs. Wendy 😉 Yes, I’m southern (accent) and all. Just ordered the new Thought Tools book on Amazon. 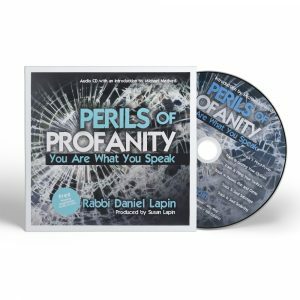 I have all of Rabbi Lapin’s books, so I had to add this one to my library. I read them over at least once a year. “Buried Treasure” was my first one, then “Thou Shall Prosper.” Thank you for all the practical wisdom that you both impart each week. We’re so happy to hear that you have many of our books and we sincerely hope that they bring value into your life. I love your calm and rational discussion and agree that we need to be able to examine all sides of this topic without demonizing either side. A common point is that everyone is concerned about health and want to know the best approaches to achieving it while minimizing risk and maximizing benefits. Interestingly, veterinary medicine is slowly changing what was the “normal” practice of frequent revaccinations to a process called titer testing where the presence of specific antibodies means that immunity is still present and revaccination is unnecessary. Some veterinarians and some studies have demonstrated the side effects of too frequent vaccinations, which can manifest as allergies and other indications of over-stimulated immune systems. In a balanced way, even holistic veterinarians acknowledge the benefits of properly timed inoculations for potentially fatal diseases such as distemper and parvovirus while cautioning about the risks of over-vaccinating, especially when titer testing indicates active immunity. It would be wonderful if human medicine could be equally open and balanced about evidence based approaches that give the maximum benefit with minimum risk for each patient. It would also be wonderful if each side could be given the benefit of the doubt in terms of underlying motivation. There is no need to insult or demonize! Thank you Susan. You walked the tightrope beautifully. This is fascinating, JLC. I never even thought of looking at veterinary medicine for a parallel. Thank you for all this information. Thank you, JLC! I second your suggestion, for humans and animals, both. I had this done after our first grandchild was born. (I’m in the pre-1957 group that had the childhood diseases so have lifelong immunity. But, since my daughter had asked her siblings to make sure that their vaccines were up to date and I wanted to double-check my own levels, I opted to have antibody titer testing.) I had MMR and DT immunity tests done. (I did not have pertussis or polio done b/c of cost.) I checked outside labs and the health clinic I use; costs were about the same for either. Not cheap but, IMO, not expensive either. Alex above stole my thunder with the excellent parallel between the current vaccination issue and ‘global warming’ a.k.a. ‘climate change.’ The issue muddying the waters of climate change is that it has become such a political football, and those most desperate to see climate change remedied by draconian law have other axes to grind. For example, they seem also just as desperate to drive a nail in the coffin of capitalism, to open the borders, legalize all abortion and discard the Constitution, etc. Yet the debate on climate change has degenerated into smearing its opponents, no matter how rational, and calling them ugly names. The debate attached to vaccination seems likewise to have degenerated, so your column has indeed made me wonder what the central issue might be. What facts are we missing? And can we humans lay emotionality long enough aside to find them and discuss them? Last comment: I thank my lucky stars that I was vaccinated as a child. Yes, that is the question I ask myself as well, James. What is really going on with this issue? As the daughter of a polio survivor, I was very happy when my children were vaccinated. However, take a look at how the number of vaccinations has exploded since you were a child or my children were young. The number of vaccines recommended today in the U.S. is amazing. Right. And I myself have had most of these vaccines with no ill effect. If memory and knowledge serve me correctly, subsequent studies suggest no correlation between (1) the vaccine mercurial preservative thimerosal and (2) the incidence of autism in humans. Yet this is the whole story. With my chemical-pharma background I am appalled at the persistence of generalized, unreasoning ‘anti-chemical hysteria’ that we have seen for years, since the 1970’s. And still the vaccine conundrum must be still more complex than these issues would account for. James, I’m sure you remember the alar hyped “crisis” of years back. Sometimes the hysteria is anti-chemical and sometimes pro. We humans are not great at consistency. You hit the nail on the head! There’s something about treating those others, as we would have these others treat us, that still rings true. May the great God of the Heavens continue to bless you richly! Amen! Dwight, according to mainstream culture we are supposed to treat truly absurd ideas with admiration, but when parents have serious questions about something they fear will harm their children, we should marginalize and scorn them. Something doesn’t add up. Great blog about the subject. I myself refused one new vaccine in ‘98 for my oldest which turned out to be recalled later otherwise my kids have been vaccinated. We live in AZ now and I’m concerned about what comes across the border. 1. Perhaps vaccines are entirely safe; perhaps not. In either case the person considering the matter of to vaccinate or not vaccinate, should read the manufacturer’s fact sheet that explains the known and possible complications associated with the vaccine BEFORE making a decision. Informed consent is a human right. 2. Consider that in 1986 the U.S. Congress gave Big Pharma blanket immunity from lawsuits for the injuries and deaths caused by vaccines. No one in America has a right to sue a vaccine manufacturer; one must petition a special vaccine court set up by the federal government, and any claim paid is by the federal government at taxpayer expense. If vaccines are so safe, why cannot vaccine makers be held accountable for what can be proven to be the result of their negligence, malfeasance, or foreseeable imprudence? 3. If YOU get a vaccine, YOU are protected from whatever disease for which you were just vaccinated, right? Yes, of course! If I fail to or refuse to take the vaccine, are not YOU still protected by your vaccination? Yes, of course! So if I should get whatever communicable disease, do not I–not YOU–bear the full brunt of the disease? Just a thought. Oh, dear, Kerriellen, you are writing so calmly, as is CK in another comment coming from the other side of the issue, that I am going to publish it although I think these are trending into what my P.S. was hoping to discourage. With respect to 2: That’s one view of a complex issue. Another is that lawsuits can drive vaccine manufacturers out of business. “During a six-month period in 1984, in response to the growing liability crisis, two of the three manufacturers distributing DTP in the U.S. market … dropped out, leaving [one] as the sole supplier in the U.S. (CDC, 1984).” The dramatic increase in litigation against drug manufacturers in the 1980s led to the SCOTUS ruling in 1986 that limited drug manufacturer liability so that manufacturers would not choose to / be forced to leave the market. Our family was affected twice, but I have no opinion one way or the other. It’s an awful, heartbreaking situation: Protect as many children as possible; some children get hurt. With respect to 3: Vaccination is used as a proxy for immunization. That is, proof of vaccination is accepted as proof of immunization. Keeping in mind that every vaccine has an associated efficacy (85% of those who receive one MMR vaccine develop vaccine acquired immunity (VAI); 40 to 60% of those who receive the pertussis vaccine develop VAI; 10% of those over 65 who receive the flu vaccine develop VAI), vaccination does not equal immunization. But (again) vaccination is used as a proxy for immunization. I also have mixed feelings about the lack of liability. In a litigious society, it is necessary, but – and this goes for malpractice as well for individual doctors and hospitals in all sorts of medical areas – we seem unable to differentiate between deliberate hiding of info or malpractice and that companies and individuals aren’t all-knowing and omniscient. Sometimes, there just is no one to blame. When we insist there is, we end up destroying the legal system. As someone on the Autism spectrum, I can indeed say it began around the time I was vaccinated. As an educated person who has also taught Biology, I can safely and with deep personal interest that the blasted vaccines did NOT cause me any harm. Repeat, NOT cause. Years ago I used to occasionally see a person with the badly pockmarked face of a survivor of Small Pox. He had to have been one of the very last cases–hurrah to vaccinations! Had we been beset by facebook and youtube back then, surely Small Pox would still be with us. Oh, dear, CK, you are writing so calmly, as is Kerriellen in another comment coming from the other side of the issue, that I am going to publish it although I think these are trending into what my P.S. was hoping to discourage. Susan, this is a wonderful analysis of how to get to a reasoned discussion on this issue. I would love to hear from you on the issue of global warming. Applying your approach to that issue would be very useful. On both these issues I hesitate to take a position simply because there is so much disinformation, not to mention outright lies, coming from both sides. Finally, I would add one additional question to your list on vaccines. To what extent does the increased number of vaccines, as well as timing of administration, affect how vaccines work and the effects of preservatives in vaccines on the human nervous system. Joyce, I know my husband has spoken about global warming on podcasts. Like vaccinations and many other issues, follow the money, is a worthwhile analysis. This is the best article I have read regarding the vaccine debate. Thank you for your compassionate commentary! Wouldn’t it be enlightening to actually hear a real debate on the issue, Beth? I appreciate that, Carl, but am amazed at how many topics we are declaring ‘not-to-be-discussed.’ Not a healthy trend. I so totally agree with your statement here. I am saddened that people/friends choose to not discuss something rather than share their ideas in a calm fashion and learn why each one feels the way they do. Perhaps if we listened more, we would find that our motives are very close to the same, it is just our methods of arriving at our goals are different. Then, once we see a commonality, it would be so much easier to search for a better method that everyone could embrace. Very well said, Deborah. Not only can we find commonality but that is how improvement is made, when we acknowledge something lacking even in what we consider a good idea. Wonderful article, Susan. Thank you very much for your calm reflection on this issue. I’d like to try to articulate an inconsistency in though that I’ve observed over the years regarding this subject. The level of vitriol surrounding the vaccine debate is truly amazing, particularly when compared with what should be another health concern to all: antibiotic resistant bacteria. It is estimated by the CDC in 2017, that there were 2 million illnesses and 23,000 deaths annually in the United States alone attributed to antibiotic resistant bacteria. Further, the FDA notes that the increase in incidence of antibiotic resistant bacteria is due to the misuse and overuse of antibiotics; and yet, we don’t see a fraction of the anger directed toward antibiotic mis-users and over-users. (I’m certainly not an ”anti-antibioticker”, as my wife at this moment is on a reasonable antibiotic for a respiratory infection…she sought treatment after an illness persisted for close to a week. However, I see people going out of their minds over 70 cases of measles; and yet those same folks – who claim to be highly concerned regarding the spread of disease – essentially ignore 2 million cases and 23,000 deaths per annum; of which we humans can play a part in slowing if we acted deliberately and necessarily. I’m certainly not offering that we should now begin publicly shaming our fellow citizens for running to the doctor at the first sniffle; nor that this should be the new savage debate. Just noting that If the loudness of the vaccine debate is borne out of concern for the well-being of our fellow citizens – and isn’t about exerting authoritarian control over others – why is there not even a peep from those same folks about antibiotic resistant bacteria and the role we can play in slowing their spread? Hi Susan, I am dealing with this issue again as a 70 year old adult. After stem cell transplant for AML, I have to get all my childhood vaccinations again. To be honest with you, I hate it, because I have been involved in the homeschool community for the last 25 years, and the majority of moms are against vaccinations, citing toxic ingredients like thimerosal (ethylmercury, formaldehyde & aluminum) in the vaccines. I am conflicted because the medical community saved my life, yet, I have read and heard too much about the adverse effects. Though it all, my only recourse is to trust God and believe His hedge of protection around me. God bless you and your husband, the Rabbi. Saundra, please don’t rely on me, but I do believe that thimerosal has been removed from vaccines. When there is a specific situation, as you have, I think that in addition to prayer, having a doctor who sees you as an individual and who you trust is very important. This is a benefit/risk analysis and in your situation one may be much greater than the other. Yes, but …. The flu vaccine, which is recommended for children from age 6 months, contains thimerosal. https://www.cdc.gov/vaccines/schedules/hcp/imz/child-adolescent.html I opt out of the flu vaccine – and have for many years – for two reasons: (a) the efficacy of the vaccine for my demographic (>65 yrs) is 10% and (b) I’m not interested in accumulating even small amounts of mercury in my system for the many more years I plan to live! Thank you for all you do. I have never had a flu vaccine, Deborah, but I didn’t know that. I left the link you gave since it is from the CDC. Reading thru all the comments, I didn’t read any that offered a possible solution. When my grandchildren were babies, the vaccine issue was just starting to gain attention. What to do? Their parents were presented with a man-made problem. They understood that refusing the vaccine because of possible serious side-effects would only create problems for the children down the road. Faced with an untenable situation (much like Queen Esther in the Bible), they took a different route. They had them vaccinated, but then had them muscle-tested (kinesiology) for natural herbs to heal from the toxins. Modern medicine in harmony with natural medicine will hopefully be accepted someday. Can’t wait to see what topic catches your eye next! Both you and the Rabbi are very fluent writers. A gift. What a fascinating idea to explore, Mary. This is a productive suggestion. I so appreciate your voice, Susan, and am glad you approached this topic. I have grandchildren now and they have all been vaccinated, but before each doctor visit, I ask my daughters to have the children refrain from eating certain foods that might encourage the growth of the bacteria, or cause congestion. I ask them to offer a prayer for the little ones that what may be good will stay and benefit their bodies and anything bad or dangerous will be cast out. The muscle-testing suggestion above is also good. As for the emotional reaction about vaccines, I don’t understand the anger expressed either, unless it comes from fear for personal safety. I saw the same reactions over use of fluoride in our city’s water supply at a political convention I attended as a delegate. Friendly people in front and behind me, who I had conversed and/or agreed with all day long turned on me when I voted against the addition of fluoride to the collective water supply. They raged and belittled me when I tried to explain my belief on that subject. Some things are so very personal or are “pet” concerns can bring out the worst in us, I’m afraid. Kristen, I think that you are right that both sides in this debate are motivated by fear. One side is scared of inflicting damage on their children and the other side is afraid of outbreaks that will be dangerous for some of the population. I just feel that if the shouting would stop, we actually could join together to demand safer vaccines that would increase health all around. Wow what an excellent piece. Thank you. Hi Susan, when it comes to vaccines we are a pro choice family! Our two children have received selective vaccinations. Yes to some, no to others, and on a schedule that I as the parent felt comfortable with. So I am not anti vaccine or pro vaccine. I am not scared to be around vaccinated or unvaccinated people. I understand why parents don’t want their children vaccinated but also understand why parents do want vaccinated. But while the parents who are anti-vax are not attacking those who are pro-vax, The pro-vax are downright nasty to the anti-Vaxers. I don’t understand why. Anti-vax kids are not goi g to make pro-bad kids sick, that’s why they got the vaccine. And for people who are immune compromised what about all the diseases they can catch that have no vaccine. TB, scarlet fever, etc. One thing I find VERY interesting is that this issue incompases people on both sides of the political aisle. It is not that conservatives are on one side and liberals are on the other side as far as I have seen. There are anti and pro vaxers on both sides. You sound like a dedicated mother, Sarah. It is interesting that this issue crosses the political divide. That should make it one that can be discussed, but that doesn’t seem to be the case. Another vaccination issue I see being discussed the the moral issue. Apparently some vaccines are produced in aborted fetal cells, one line from the sixties and one from the seventies. The cell lines are still producing the vaccines but since it originally came from a voluntary abortion there is still a moral issue. The Vatican has a letter out dealing with the topic. This is an important point, John. By being political partisans, the medical community has lost much authority. Did aborted fetal cells really have to be in vaccines or is this a potentially dangerous and morally questionable ideological choice? It’s not that the vaccine has fetal cells in it, it’s more that the vaccine is created withing the fetal cells and therefore would not exist if not for the use of the cells. My understanding is that there are two lines of vaccines that are made by these lines and that they are part of the most used vaccines. It is beyond my knowledge if there is another way to make the vaccines. I appreciate the correction, John. The thoughtfulness – and historical perspectives – of your approaches to topics are much appreciated. One of my “hobbies” is research on vaccine efficacy. My goal is to shine light on the subject; I do my very best to stick to the facts. (It’s complex, to say the least.) Example: There are two measures of vaccine effectiveness: efficacy (what percentage of those vaccinated acquire immunity) and duration (how long does that immunity – if acquired – last): (a) Pertussis has a relatively low efficacy (40 to 60%). That is, roughly half of those vaccinated do not acquire immunity from the vaccine. (Note: Proof of vaccination is considered proof of immunization, in general. While this may be a reasonable approximation for some vaccines, it is not true for most.) (b) Pertussis has a relatively short duration; within ~ten years, vaccine-acquired immunity has waned. Every couple of years, there’s an outbreak of pertussis in our (well-educated and affluent) community, usually in one of the high schools. As one would expect, there are emotional reactions from parents; blame is assigned far and wide (anti-vaxxers (of course), big pharma, errors in manufacturing, greed, politics, and religion (of course). But I have never seen factual information on vaccine efficacy and duration, readily available (perhaps an overstatement) in the literature, in any of the local articles. As for any real-life solution, there are trade-offs: (a) the disease makes our children sicker than the vaccine for the disease vs. (b) vaccine acquired immunity is not 100%, as it is for almost all diseases, nor is it lifelong (ditto). California law changed in 2015; among the changes is a new requirement for a pertussis vaccination at age seven or older, in addition to those at ages 2, 4, 6 and 15 mths and at 4 to 6 yrs. Does this help? Since vaccine acquired immunity wanes after ~ten years, an additional vaccination at age seven or older could protect children through HS. There are two “buts”: (a) only for the ~50% who actually acquired immunity from the vaccine (efficacy) and (b) only for the duration of the vaccine acquired immunity. To be addressed: safety (what does it mean) and immunity testing (does your child have immunity). I see that I missed responding to some comments. This is just because my eye didn’t catch them as I went back and forth to the computer. Thank you all for your input. My only comments about vaccinations are that 1. IF they are truly effective, then people will eventually take them without government prodding, and 2. IF they are truly safe, then limiting or eliminating drug company liability shouldn’t be necessary. I wish #2 was true, Thomas, but unfortunately our judicial system isn’t always wise and just. I think the ‘no liability’ is a problem but I think having liability is also a problem. The whole judicial system needs an overhaul though it might end up worse, of course. I view this musing of Susan’s broadly, beyond the topic of vaccination. With so many topics, the debates presented are not honest or complete. Often there is little or no analysis of risk or cost. For example, school security. One group essentially says ban all guns and if you don’t agree, you are a bad person. I don’t hear anyone bringing up the fact of hundreds of thousands of defensive gun use annually. What would the victims statistics become if all guns were banned since most of those defensive gun uses would not happen? Why is there no discussion of the program Israel has instituted which has an over four decade long record of reducing school shootings to near zero, which is not only effective but also cost effective? How about a cost/benefit/risk analysis of the use of DDT, or other agent, for controlling the spread of malaria, which is the world’s #1 killer? A risk/cost analysis is essential when making educated decisions, but such an analysis is too often not done or discussed. On the topic of vaccination, not all vaccination methods are equal in risk, let alone risk of vaccinating vs. not vaccinating. For example, when I was deciding on whether my children would be vaccinated for polio using inactivated polio vaccine (IPV), or oral polio vaccine (OPV) which uses live, though weakened viruses, I did learn that while there are few cases of polio annually in the US, all or nearly all came from the use of OPV. So I choose IPV after analyzing the risk/cost. BTW, I read that since 2000, only IPV is available in the USA. Excellent points, David. Many powerful groups behaving irresponsibly leads to the perception that citizens do not get the whole truth. And when people don’t trust those making decisions, we have a problem. You have a little entry about increases in allergies, etc. When I was growing up I literally lived outside. I played in the dirt. If lucky I washed my hands before a meal, but rarely before a snack. I have no recollection of any allergies. As I grew older I became more sedentary. Then I started having allergy problems. Wanting to ‘get more exercise’, I spent more time outside. My allergies have almost subsided. Now most any personal cleaning product is ‘antibacterial’, people live with hand sanitizer as a constant addition. Children rarely go out and play, and if they do – well they better not get dirty! And never touch or eat food with dirty hands. In general it appears the population is more sedentary. And, amazingly, allergies and other illnesses are on the rise. Oh, no – better sanitize and pasturize and make sure you don’t cross contaminate. Maybe the answer is not antibacterials, immunizations and fear of ‘dirt’, maybe the answer is to get out there, get active, get dirty, and live? David, I do believe I have seen studies that support your view. I think they showed lower rates of allergies among farm children. Well, you “hit the nail on the head” regarding this hot topic! My daughter and her male cousin, both professionals in their early 30’s, were hiking a rather steep trail in Yosemite and began to discuss vaccines—good, bad or otherwise they are passionately opposed, but not without restraint and decorum. Seemingly, out of the blue as they rounded a precarious corner, a fellow hiker and companion, coming from the opposite direction and having overheard their comments, intruded into their discussion with all the vitriolic contempt, you have so accurately identified. The female, in this encounter, who rolled out verbal disgust and condescending contempt, turned out to be a. medical doctor! I am in my late 60’s and I have come to the conclusion that all too often we are a global civilization that: “knows NOT what Spirit we are of” BEFORE we even open our mouths. The days of the old Dragnet television series, in which the star detective is always requesting: “Just the facts, Mam” —is needed now more than ever—especially when discussing vaccines. Sadly, Cheryl, we could all probably think of quite a few more topics that bring educated, seemingly rational people to lose control. Some of my family members are immigrants from India. They have grandparents who all lost six to eight children each. Most died from diseases that are preventable by vaccines today but were not available in WWII era India. This history is remembered by the family and vaccines are viewed as a blessing. That is definitely an important part of the conversation, Lena. One part of the debate is often overlooked or ignored: the “advances” that have been made in diagnosing various conditions during the last several decades. How recently have we discovered autism, for example? Are the numbers of children who have it increasing, or have we simply learned so much about it that the diagnosis is being made more often? Could there have been a comparable percentage of people with autism before it was given a name and certain standards set for diagnosis? In the late 1980’s or early 1990’s, we’d never heard of fibromyalgia. Now it is not uncommon to hear of someone who has it (including myself). I’ve read that several conditions that were known by different names in the past (rheumatism comes to mind) actually could have been what we know now as fibromyalgia. On the other hand, there is the possibility that many children and adults have been misdiagnosed, and that certain conditions/diseases are over-diagnosed. All this to point out that vaccines may or may not cause the oft-cited problems we hear connected with them. And that some of the things we see as advances in science and medicine may not be advances at all. Sonja, I believe I once wrote a Musing about a fascinating book called In a Different Key: The Story of Autism. It is a very worthwhile read in understanding how unscientific science can be. You are right that there are diseases we are more aware of or that get diagnosed now as one thing that would have been seen as something else in the past. This topic has certainly driven many people to respond! I suppose that I’m included in that group as well. What I am interested in regarding vaccines is why the formulas have changed so drastically since I was a child and there was no concern at all about vaccinating anybody. I recently saw a “list of ingredients” of various vaccines administered in the 50’s vs what goes into the same vaccines today and was dumb struck! Can’t we simply return to the “tried and true” vaccines of yesterday? It seems that this would remove at least some of the fears experienced by new parents. My thinking on this topic may be too simple for today’s world as I feel exactly the same way about Campbell’s soup. Ah, if only they would return to the recipes they used in the 50’s and 60’s then every household would go back to eating it! Lisa, I can’t speak to Campbell soup, but I have never looked at the list of ingredients as they’ve changed over the years. Some of the changes have been to make them safer but perhaps others have done the opposite. I don’t know. That’s an interesting area to explore. I will say that while the majority of responses here have been positive, I have received very strong negative responses privately. These people see a measles epidemic spreading while only a few years ago the disease was considered all but eradicated in the United States. As such, they see my writings as irresponsible. I’m so sorry that your daughter is suffering from migraines, Kevin. The HPV shot, and specifically the murky connections in Texas that highlighted how our politicians often weigh in issues where they don’t have full information and where there is a conflict of interest (including campaign donations from interested groups) was one of those areas where the medical profession lost credibility with the public.